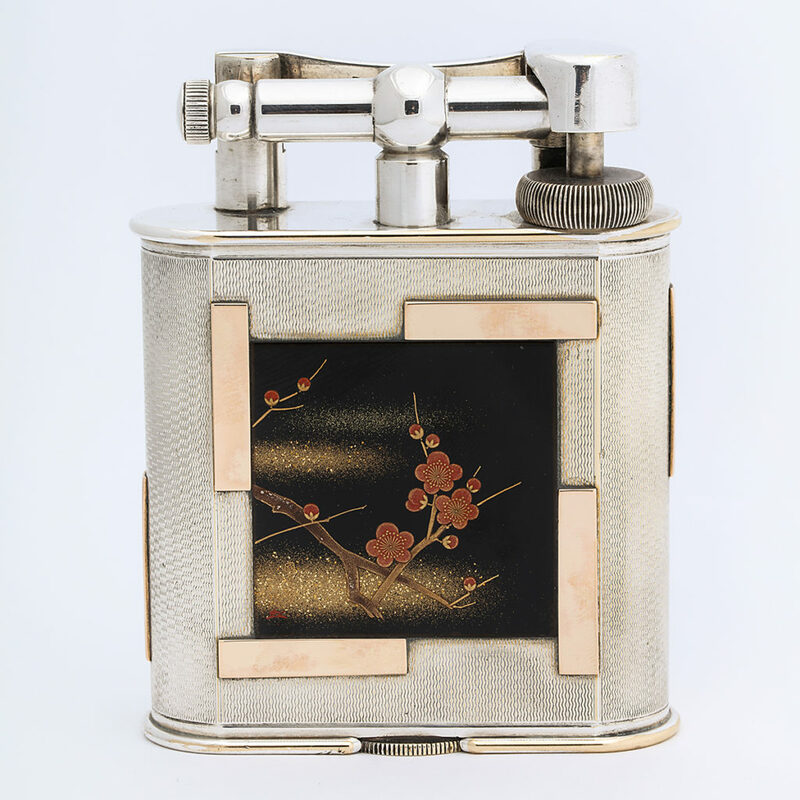 Silver and gold swing arm desk lighter featuring large maki-e lacquer plaques. 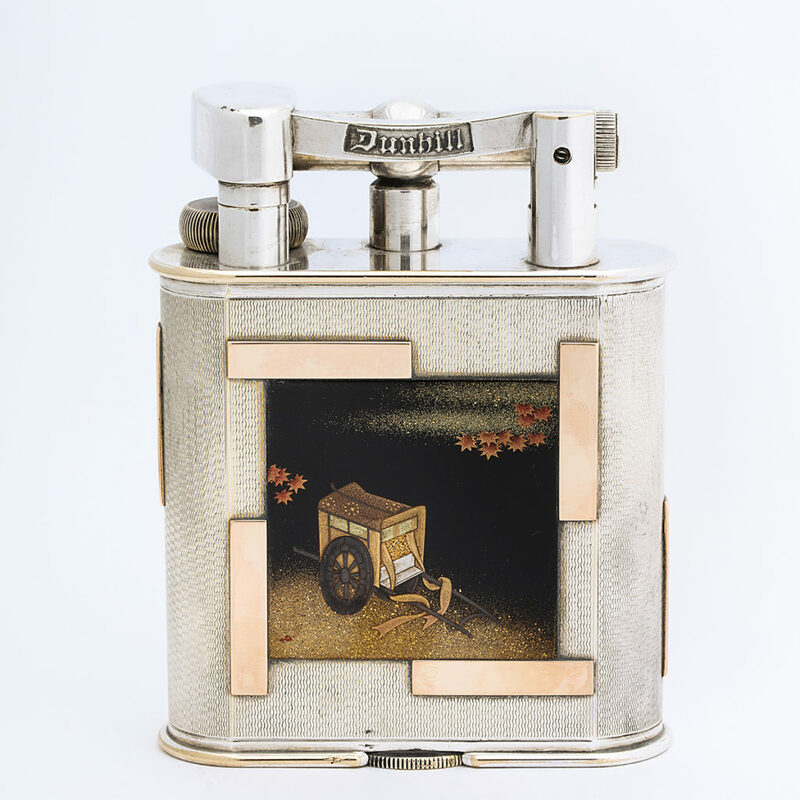 Maki-e, meaning sprinkled picture, is a Japanese lacquer technique that involves spraying or sprinkling wet lacquer with gold or silver powder. First developed in the Heian period (194-1185 AD), Namiki Manufacturing Company founder Ryosuke Namiki revived the technique in the early twentieth century for his lacquered fountain pens. 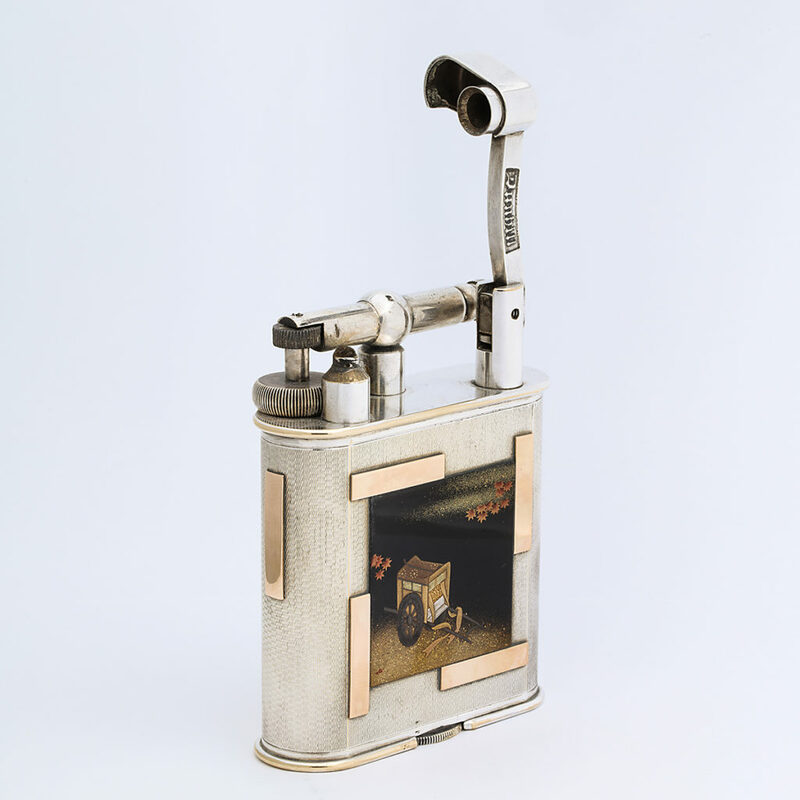 In 1930, Namiki collaborated with Alfred Dunhill to produce pens and cigarette lighters. Manufactured by Dunhill & Company, Lacquer by Namiki.